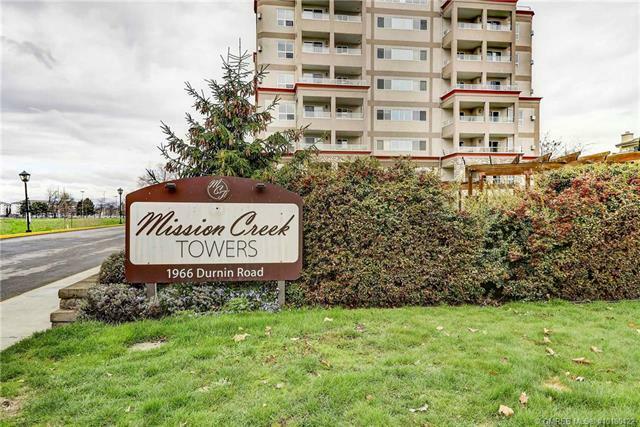 Rare Executive 2 BR + Den Condo in one of Kelowna's most popular concrete condo buildings. Spacious luxurious living. Beautiful City and mountain views. Very quiet, North-facing unit. Close to everything you need... Shopping, recreation, walking trails, doctors, dentists, coffee shops, restaurants, hardware stores, car dealerships... anything you need is with a 5 minute drive. Forced air Heat. Central air. Fireplace. large bedrooms. Spacious balconies. Electric BBQ's permitted. Indoor pool and hot tub. Meeting room. Outdoor putting green.